Deck Stains in 2019 – What’s new? What really works? What types are there? Today we will be reporting what’s new in the deck staining industry for 2019. Out two years ago is the Restore-A-Deck wood stain. 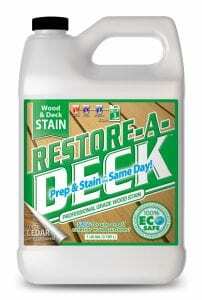 The Restore-A-Deck Wood Stain can be applied to damp wood, allowing for prep and stain to be completed on the same day. Restore-A-Deck Stain uses the latest in water-based wood staining technology to create a formula that allows for better UV protection, excellent penetration into the wood stain for long lasting beautiful results, and the ability to apply to damp wood for single day project completion. The Wood Stain comes in four radiant semi-transparent colors that highlight and enhance the natural wood grain. Which stains really work? 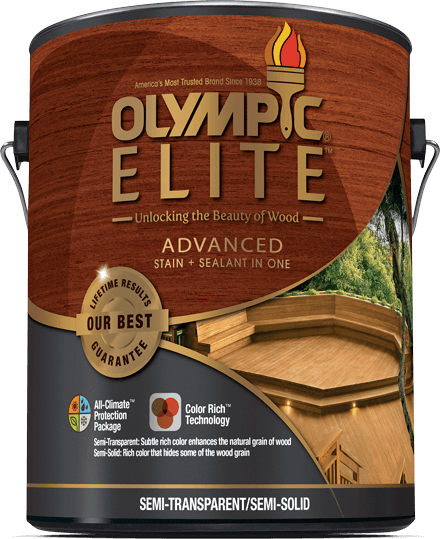 With the help of thousands of people who have completed deck stain projects over the years, we consistently see the same higher quality stains outperforming lower quality stains. Hands-down, semi-transparent wood stains seem to receive raving reviews as far as the quality and durability go. As always, be sure to choose a high-quality semi-transparent wood stain, as low-quality semi-transparent wood stains fail to penetrate the wood grain and make maintenance a pain. Click here to see the top 6 rated deck stains. Can You Apply a Clear Sealer or Polyurethane over a Deck Stain? Update 2019 for Clear Sealer or Poly over a Deck Stain? We here at DeckStainHelp.com thank you for your continued support as we continue to be the internet’s number one reference for all things wood deck restoration related. If you have ever considered using a polyurethane coat to give your outdoor wood deck a smooth appearance, read this article and really think about the potential repercussions. As always, we appreciate your input, so feel free to leave a comment below. 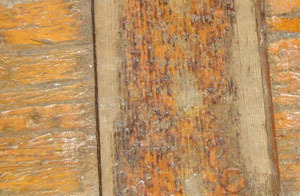 Deck stains are meant as a protective finish for exterior wood. They contain special UV shielding pigments and mildewcides to ward off mold and mildew and to keep the wood from fading. Other sealers or clear finishes will not adhere well to a deck stain and may result in the topcoat failing prematurely. Most likely the clear sealer or polyurethane will end up peeling and flaking off the deck stain. Unlike paint, stains and sealers are not necessarily designed to adhere to each other. 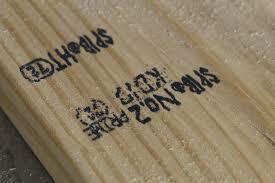 Most are designed to penetrate into the wood or at least adhere to bare wood in the case of film forming stains. Applying a clear sealer over a deck stain is never a good idea. It really won’t help the deck stain or give any added protection more than the deck stain already is. Clear sealers have no pigment and therefore provide zero UV protection. The same goes for polyurethane. We here at DeckStainHelp.com are proud to be the internet’s number one reference for all things wood deck restoration related. In this article, we talk strategy for picking out the perfect color for your wood stain project in 2019. We are always looking for ways to engage with our readers, so we appreciate your input, questions, and pictures by leaving a comment below. Choosing a deck stain color can be a bit confusing with so many different choices on the market today. There is a wide range of colors, tones, and opacity choices to take into consideration. Also taking into account the type of wood you are staining can really leave you more confused than anything. Educating yourself on the different choices of deck stain color ideas will assist you in making the right choice. A deck stain tone is basically the primary shade of color that the wood will appear. While the term color, in speaking about deck stains, is mostly associated with solid deck stains, the term tone is more associated with semi-transparent or semi-solid stains. These types of stains do not completely hide the wood grain but rather enhance the appearance of it with a tone. The most common deck stain toners are natural, cedar, redwood, and darker browns. At Deckstainhelp.com, we take pride in the fact that we are your trusted go-to site for all things exterior wood and deck restoration related. In this updated article, we outline the difference between deck sealers, deck stains, and deck paints, and where to put them to use. As always, we appreciate your input, so feel free to leave a comment below and pictures of your completed projects if you have them. It is a common concern of deck owners whether to use a deck stain, deck sealer, or deck paint. There really is not an exact definition of any deck stain, sealer, or paint and many professionals use the terms loosely when speaking about deck coatings in general. But some clarification can definitely help. We will describe which each one is most commonly described as. A sealer usually does not alter the appearance of the surface. It is applied to protect the surface from such things like foot traffic, water damage, mold, and mildew. Therefore, deck sealers are most commonly any clear, transparent, or translucent coating that protects the wood without altering the appearance. Deck sealers are popular for those wanting the most natural wood look you can get while still providing water protection. Most deck sealers have excellent water repellency properties but lack of shielding against harmful UV rays causing the wood to turn gray over time. Why Do You Need Deck Stain Color and Tints? 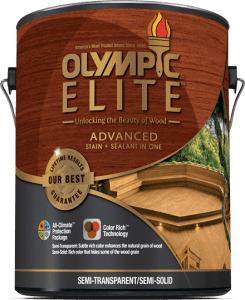 Update 2019 for Why Do You Need Deck Stain Color and Tints? DeckStainHelp.com remains the Internet’s go-to site for all things exterior wood surface restoration related. In this updated article, we explain the reason why you need deck stain color and tints if you want your deck to withstand the elements for many years. We encourage customer interaction on our site, so feel free to leave us a comment below. Deck stains have come a long way in appearance over the years. There is a wide array of colors, tints, and tones that can be added to deck stain. But what if you like the natural look of wood, do you really need a color or tinted deck stain or can you use a clear sealer? There are several reasons a deck owner may choose a colored deck stain over a clear sealer. Color enhances beauty. Even if you like the natural look of wood, a slight color or tone can be added to enhance that “natural look.” A natural colored stain will also last longer in appearance than a clear stain. A tinted deck stain is great for worn or older wood decks that need the boost in appearance. The sun’s UV rays fade unprotected wood rapidly. While most deck stains repel water not all of them shield against sun fading. The more pigment that is present in a deck stain the more UV protection it provides. On a scale of 1-10, a clear stain would be a 1 in sun protection where a solid colored stain would be a 10. So when choosing a deck stain, sun blocking color stains and tints should certainly be part of the equation.